Proper preparation, cooking and storage can keep foods safe while maintaining their flavor and nutrients. 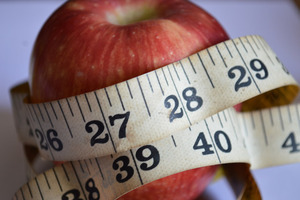 As part of National Nutrition Month 2015 during March, the Academy of Nutrition and Dietetics urges everyone to “Bite into a Healthy Lifestyle.” The group says a few simple steps can help maintain healthy eating environments and get the most flavor out of foods while reducing the risk of food poisoning. 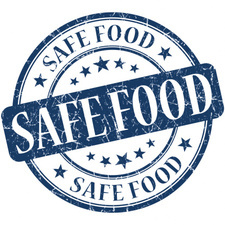 “Properly handling and preparing food is key to food safety, and can also affect the quality of foods,” says Thayer. Whether they are organic or conventionally grown, wash all fresh fruits and vegetables with cool tap water. Avoid soaking fruits and vegetables as you wash because some nutrients dissolve in water. Leave edible skins on vegetables and fruits such as carrots, potatoes or pears, and trim away as little skin as possible. Most vitamins and minerals are found in the outer leaves, skin and areas just below the skin, not in the center. Peels also are natural barriers that help protect against nutrient loss. “How food is cooked can enhance or destroy flavor. Get the most flavor and nutrition out of your food, while also reducing the risk of food poisoning,” says Thayer. Overcooking meat can detract from its flavor. Use a food thermometer to determine when meat has reached a safe minimum internal temperature and to prevent overcooking. Cooking foods to a safe temperature is the only reliable way to determine the doneness of cooked meats, poultry, egg dishes and leftovers. Cook vegetables or fruits in a small amount of water, or steam them in a vegetable steamer, covered pot or a microwave oven. Steaming retains nutrients and there’s a flavor advantage, too: Unless they are overcooked, vegetables retain the color and tender-crisp qualities that make them appealing. “Poor storage destroys flavor and quality, while storing food correctly helps keep nutrient loss to a minimum and flavor and food quality at their peak,” says Thayer. Keep your refrigerator at 40°F or below to slow bacteria growth that spoils food and ruins flavor. Store opened packages of dry foods, such as rice and pasta, in dry, airtight containers. This will keep out insects and rodents and keep food from obtaining odors. Leave food in its original wrapping unless the package is torn. If you have to rewrap, seal storage containers well to prevent moisture loss and absorption of other odors. Wrapping raw meat, poultry and fish in separate plastic bags also keeps raw meat juices from contaminating other foods. When freezing, pack food items in freezer bags or airtight containers. Squeeze air from bags before sealing and leave some space in containers in case foods expand. If moisture escapes, frozen food can become dry, tough and tasteless and may develop freezer burn. Learn more about National Nutrition Month and how you can “Bite into a Healthy Lifestyle” at eatrightpro.org.